Could you post a pic of this ship near another well known ship in sacred scale ? 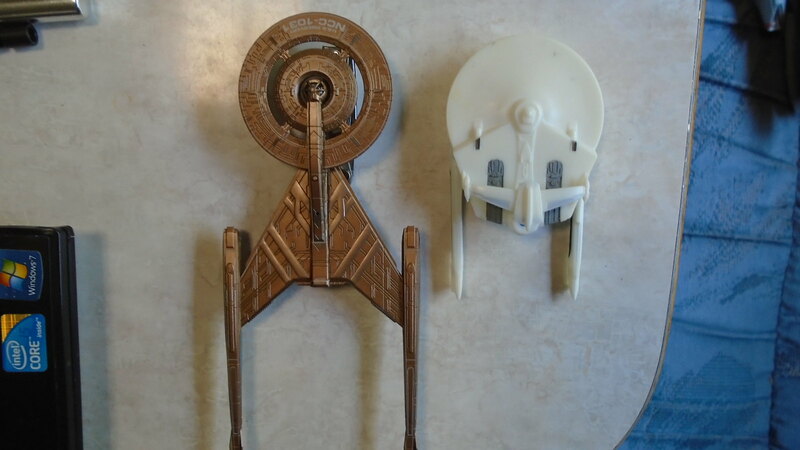 The original ship is too big for my taste but a smaller one could do, what is the “scale” of the hallmark model ? By "sacred scale" do you mean 2500 scale? If so, I'll try. Only Sacred Scale I know about. I've never paid much attention to the in-joke names random people give stuff. Either way, here's a pic showing the 2500 scale Reliant for reference. You're very welcome, I'm glad to be of help. Is engineering in the same zip code ans the bridge? And who said it was a joke?